With an elegant double wall design, the Apace glass pour over coffee maker lets you make your favorite coffee. Like the design? Let’s continue checking. This is a beautifully crafted and easy-to-use coffee maker that measures 5 inches diameter by 9 inches high. As we can see from the images, the coffee dripper shows off elegant lines and smooth exterior. With the clear glass design and integrated cork grip, it serves as a decent decoration on the table when not in use. 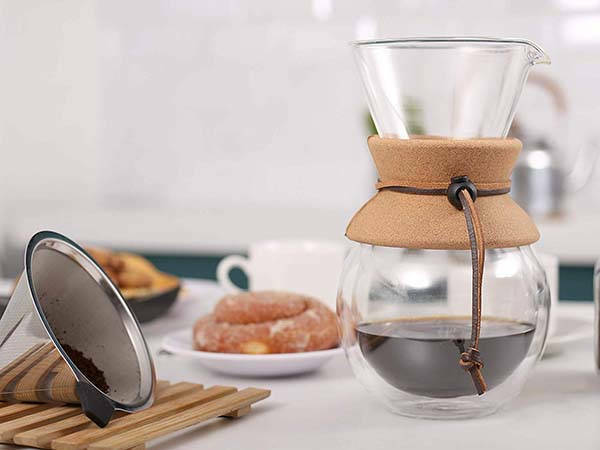 The glass pour over coffee maker is designed to brew 800ml (27oz) of refined and aromatic coffee. The stainless steel micro-ground filter filters through the richest and aromatic brew for a cup of perfumed and flavorful coffee. Moreover, the double walled design ensures it’s able to maintain the perfect flavor ratios and heat, while the cork grip lets you comfortably and firmly hold it in your hand. In addition, all parts of the coffee brewer are toxic-free and easy to clean. 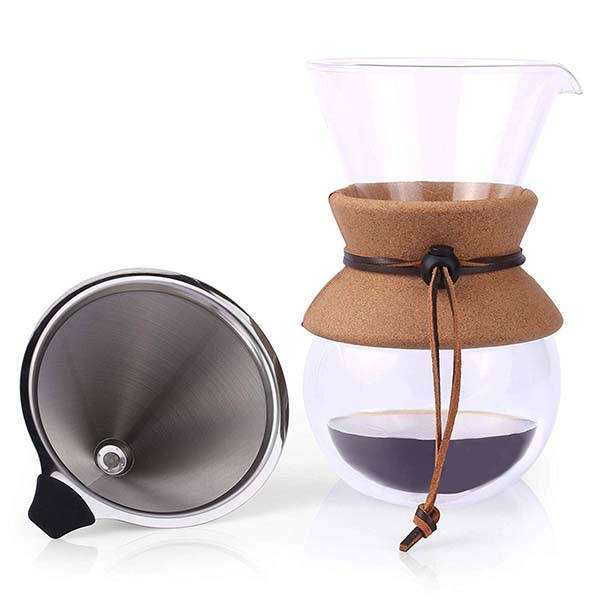 The double wall glass pour over coffee maker is priced at $34 USD. If you’re interested, jump to the product page for its more details.